Thank you for visiting our website. I am delighted to introduce our school to you. 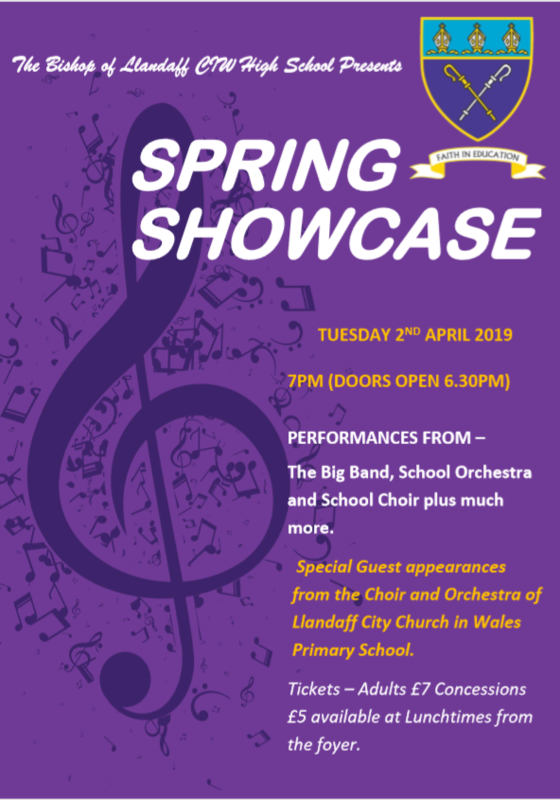 The Bishop of Llandaff is an 11-18 co-educational comprehensive school serving the Christian and non-Christian communities within the city and surrounding areas including The Vale of Glamorgan, Caerphilly, Rhondda Cynon Taff and Bridgend. Quite simply, we want to be the best school in the country! Our aim is to ensure every child in our care achieves their full potential academically; develops the skills necessary to be successful in our ever-changing world; and understands a sense of morality guided by the gospel values of love, acceptance, responsibility and forgiveness. These aims are delivered through a commitment to providing high quality learning experiences, a strong pastoral system and an extensive range of sporting, cultural, physical and extra-curricular activities. We are a high performing school at all stages of learning, with outcomes in public examinations placing The Bishop of Llandaff amongst the best in the UK. In 2018, our students achieved oustanding GCSE and A level results in the reformed qualifications, key performance measures and new specifications. In Year 11, 92% of students achieved 5 or more A*-C grades, with 82% including English Language and mathematics. Students performed well across all subjects, resulting in 43% of students achieving 5 or more A*-A grades. In Year 13, students shared similar success with 35% of all grades achieved at A*-A, with 68% A*-B, 86% A*-C and 99% A*-E. Many of these students left us to continue their studies at university throughout the country (and some abroad on full scholarships). However, we are most proud that every one of our students had a progression route to the next stage of their lives, regardless of pathway. Should you visit our school, you will see that our students are happy, hard-working and incredibly positive about their time at school. They genuinely are an asset to our community and visitors regularly comment on how friendly and polite they are. They want to receive the best possible experiences at school and become successful. In addition to our wonderful students, we have an amazing team of teaching and support staff who are fully committed to providing all of our students with a first-class education. We believe we have some of the finest teachers in the country who help to inspire, motivate and challenge our students to be the ‘best versions of themselves’. I am a firm believer that children only have one chance at education and they deserve the very best! At The Bishop of Llandaff, we see it as our role to ensure we provide them with this. We set the highest expectations of and for our students and we shall leave no stone unturned to achieve our goal. We will always focus on improving the quality of the education our young people experience and place great importance in working together in partnership with students, staff and parents. Educating children is a great responsibility and an immense privilege. If you are a parent of a student already at the school, thank you for entrusting us with that job. If you are considering sending your child to The Bishop of Llandaff or would like to find out more do get in touch. We are open to visitors every day! We welcome existing Year 11 students, and students from other schools, to attend our Sixth Form Open Evening on 21st November from 5.30pm. The Bishop of Llandaff is one of the top performing schools in the country and outcomes at post-16 are consistently outstanding. Our open evening will begin with a presentation in the main hall, after which subject specialists will be available until 7.30pm. If you have any questions please do not hesitate to get in touch with Reverend Rayner-Williams, Assistant Head/Head of Sixth Form or one of the sixth form team. We look forward to welcoming you.